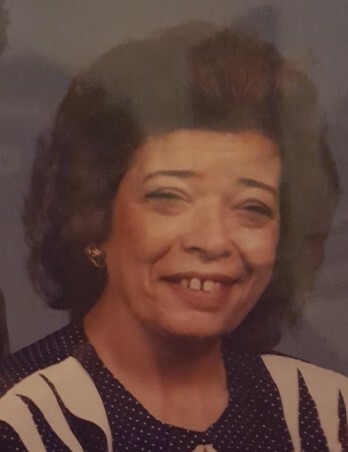 Mrs. Gloria Jordan Howard of Town Bluff, Texas, passed away May 2, 2018, at Harbor Hospice in Beaumont, Texas, at the age of 77. She was born September 22, 1940, in Wayne County, Michigan, and had lived in various parts of the country before moving to the East Texas area in 1976. Mrs. Howard enjoyed raising chickens and ducks as well as taking care of dogs and cats and other pets. All animals were always spoiled as long as she was around. Mrs. Howard enjoyed Bible reading and playing games. Her survivors include her husband, Frankie "Gene" Howard of Town Bluff, Texas; her children, Danny Jordan and wife Lajuana of Stockdale, Texas, David Jordan and wife Teresa of Mountain Home, Texas, Donna Jordan of Newton, Texas, Ricky Jordan and wife Veronica of Paige, Texas, and Robert Jordan of Clarksville, Tennessee; a special niece, Angie Hall of Lumberton, Texas; 18 grandchildren; 37 great-grandchildren; and a host of other nieces, nephews, and family members. She was preceded in death by her parents, Adolph and June Bricker. Life honoring services for Ms. Howard will be held at 10:30 a.m. Saturday, May 5, 2018, at the Forest Oaks Funeral Home Chapel, located at 601 W. Gibson Street in Jasper, Texas. Committal service will follow at North Baptist Cemetery, located on U.S. Hwy. 96 North in Jasper, Texas. Visitation will be held from 6:00 to 8:00 p.m. Friday, May 4, 2018, at Forest Oaks Funeral Home Chapel.